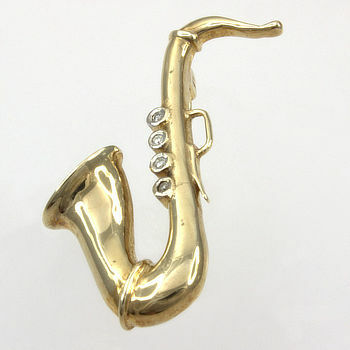 A fantastic piece of jewellery for the music lover in your life. 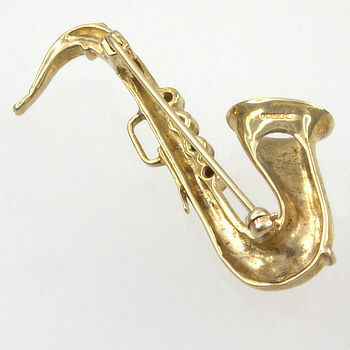 A stunning 9ct yellow gold and diamonds saxophone brooch. A beautiful item to compliment any outfit.